This 3-day course was designed based on real-life success cases and gives an opportunity to remove specific limiting beliefs and instill hundreds of feelings to achieve greater success in life and business. Vianna has partnered with Hiro in an endeavor to unite spirituality and business, and this seminar is one of the first products from the effort, available through THInK. 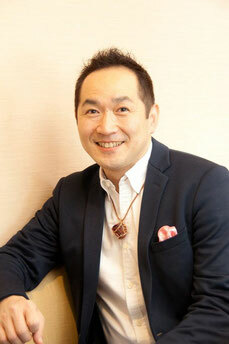 Hiroyuki Miyazaki (a.k.a. Hiro) is the representative of Japan ThetaHealing. In two years of his tenure, Japan ThetaHealing achieved 900% growth in the organization and increased public recognition through various advertisements, bringing ThetaHealing as one of the most popular healing modalities in Japan. Before ThetaHealing, Hiro worked in financial industry for 17 years, demonstrated his strength of managing large projects in multi-cultural environment. Back in those days, Hiro discovered that business performance is largely affected by people's limiting beliefs, where he succeeded in achieving major performance increase through application of ThetaHealing.